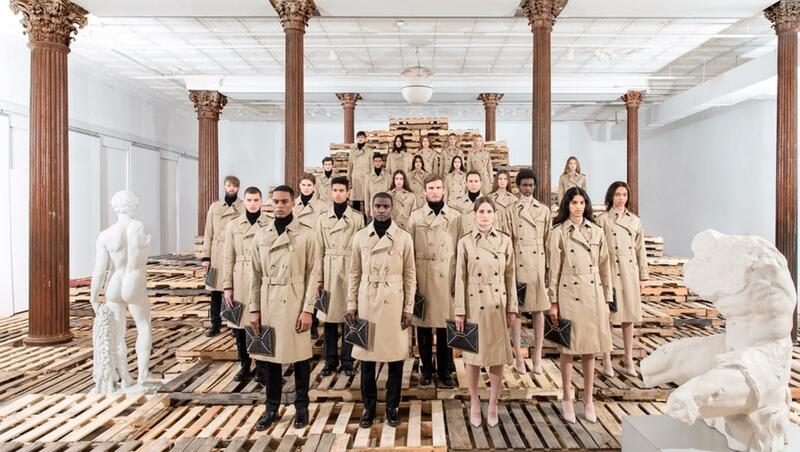 Valentino announced they are partnering with Vanessa Beecroft (the brain-child behind Kanye West’s statement YEEZY presentation) for their latest FW16 campaign. Similar to Beecroft’s work on the YEEZY project, this video displays a familiar minacious soundtrack aside a lineup of both street and agency-cast models, all arranged in a strict military formation. With a more mainstream and palatable approach towards garment design, Beecroft’s mini-army is dressed in smart trench coats and turtlenecks, accessorised with stud-adorned leather pouches and footwear.